I retired 10 years ago. At first, I felt empty without a productive job and without a business card to identify with. Statistics show 50% of executives die within one year after their retirement, so I was apprehensive. 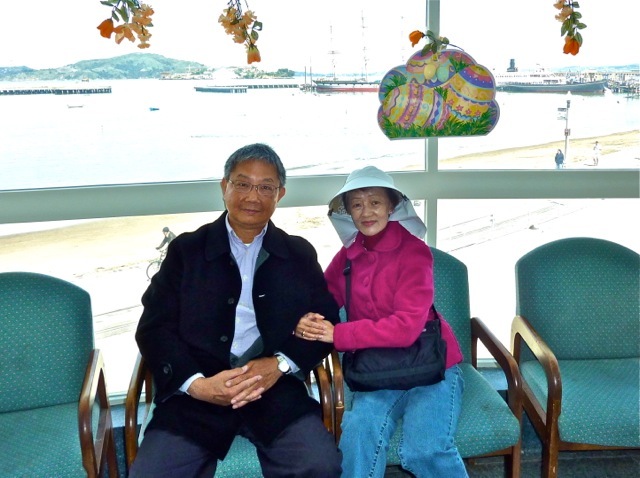 For one year, I acclimated with retirement by watching TV all day and reading many books. Eventually I became comfortable with having more free time than I ever had, and I gradually found enjoyable things to do. Today, I would not trade my retirement for anything. 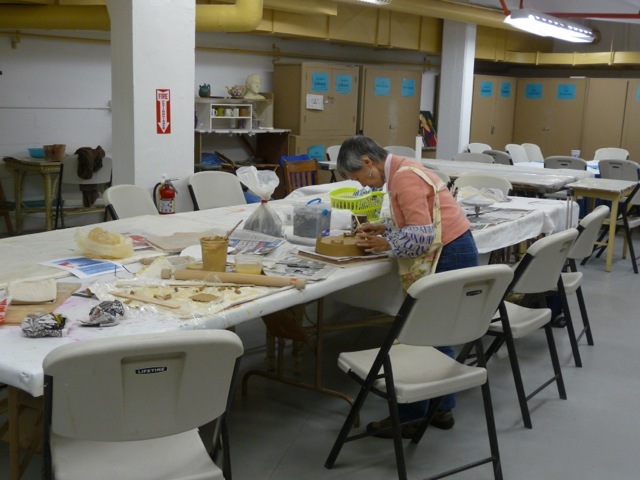 Soon after Sally and I moved to San Francisco a year ago, we searched for a senior center with a ceramics workshop to pursue our hobby. Fortunately, we found the Aquatic Park Senior Center. We were very happy after a tour of the center. 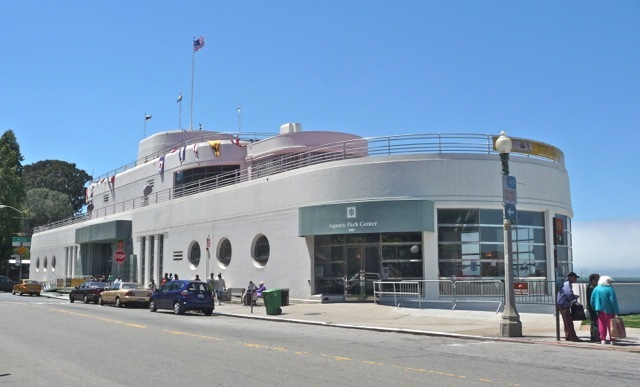 The senior center shares this building with the San Francisco Maritime Museum. It was built in 1930s initially as a bath house for swimmers and is designed to mimic a ship. The senior center was established in 1947 and is the oldest senior center in the USA. 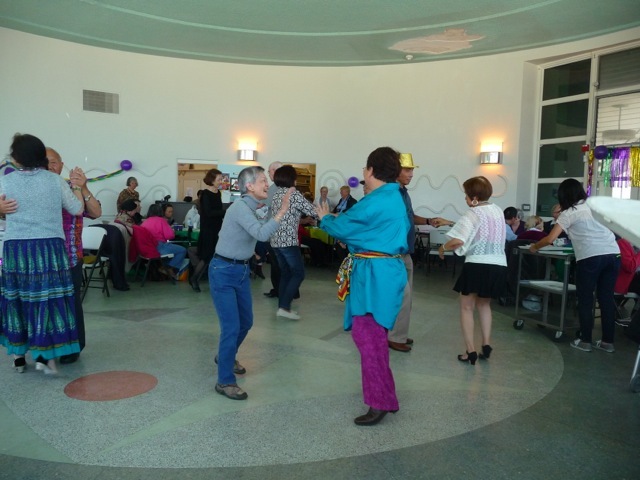 In the senior center, we mingle with other seniors who are also in our stage of life. Most of them are active, congenial folks who readily join in conversations and activities. A few are in their 90s and still vibrant, dancing and painting. Some want to pursue their hobbies in solitude, and they would be left alone. The center is well managed and has the services of teachers, coaches, social worker and dietician. From the bay, the Aquatic Center building is seen hugging the beach. This panoramic picture shows the swimming beach protected by breakwater. 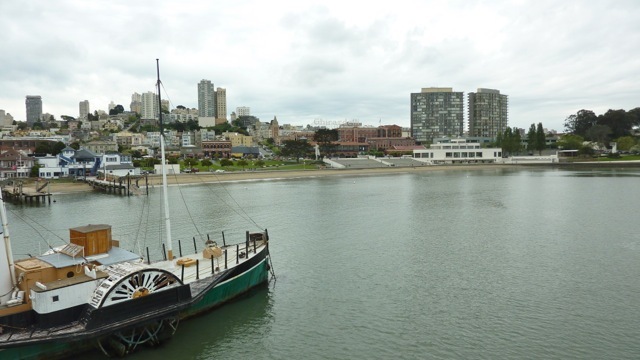 The ships of the Maritime Museum are moored on a pier, beyond which lies the island of Alcatraz, the former maximum security penitentiary. 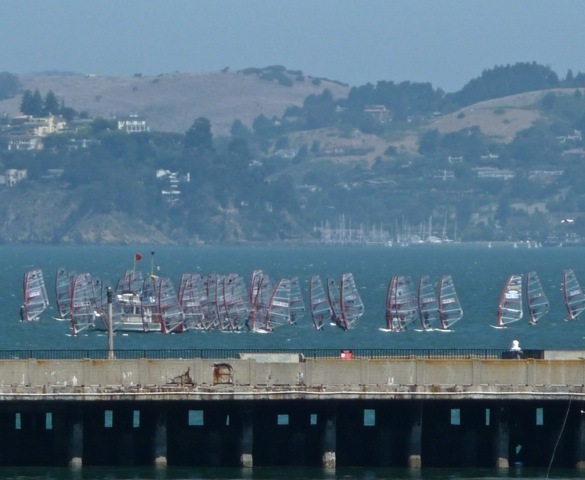 From the senior center, I sometimes see activities such as this regatta of wind surfers. This room with a million dollar view is the center’s multi-function room where lunch is served. 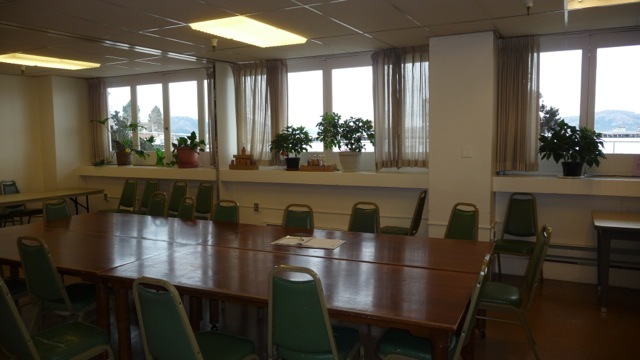 In other times, this room is used for bingo, social dancing, line dancing, meetings, and other group activities. It costs $60 a year to join as member, but non-members are welcome to use its facilities. 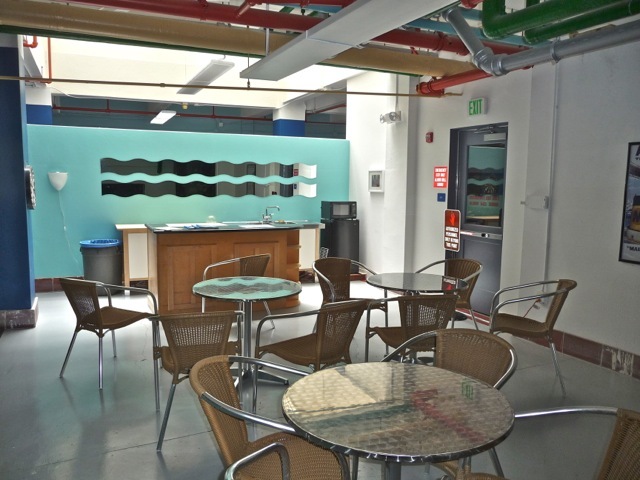 A more intimate cafe is situated in the basement of the building. 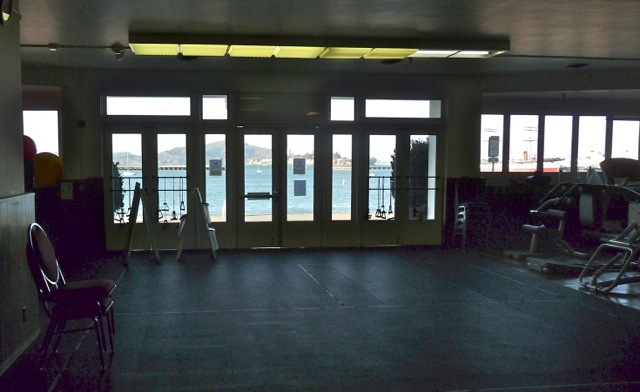 The well-equiped exercise room is used for many exercise classes including yoga, tai chi (太極), qigong (氣功), aerobic, zumba, strength workout, stretching and pilates. People doing exercises have a expansive view of the bay. 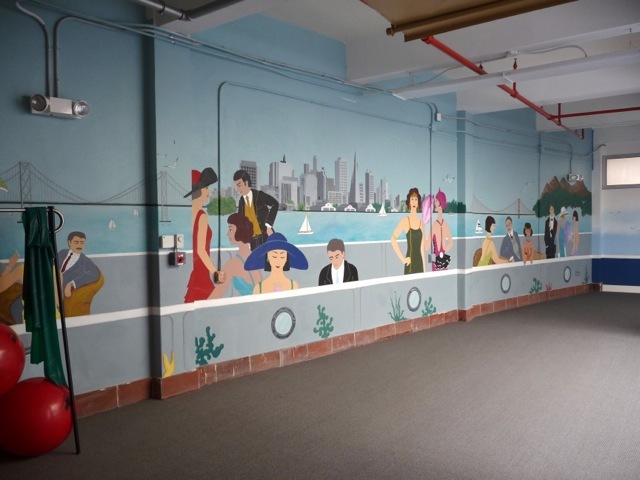 A new exercise room is decorated by talented members. New computers are set up in the computer room. 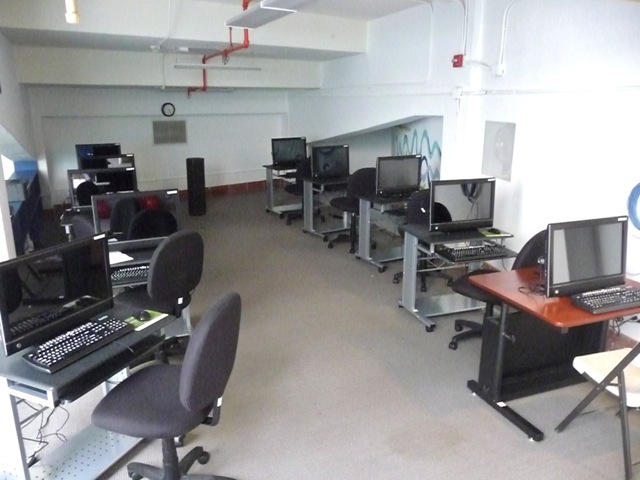 Seniors would be able to learn computers, surf the net and do emails. 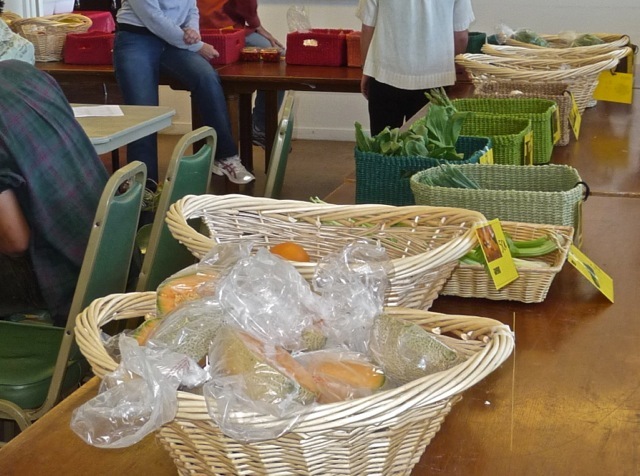 Once a week, a produce market is set up for the benefit of the seniors. As the prices are cheaper than supermarkets and the produce are of high quality and very fresh, the produce sell very well. At the end of the two-hour selling session, only a small amount are left unsold. 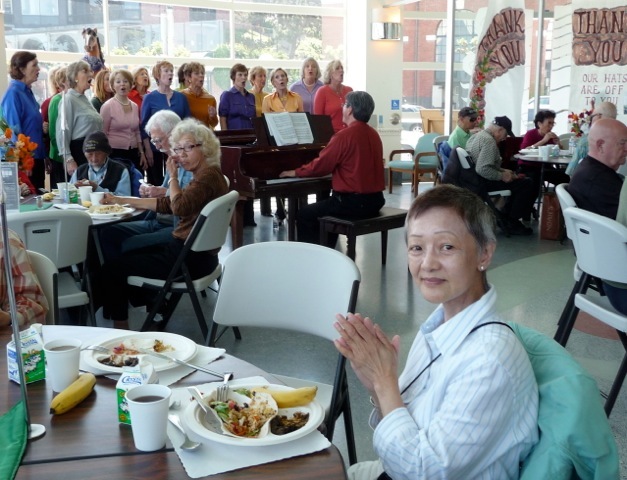 Once in awhile, a very good chorus group sings to accompany lunch. 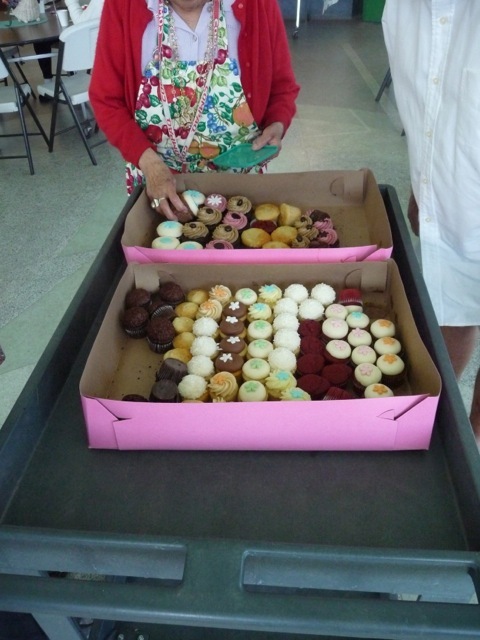 Once a week, a neighborhood bakery donates cup cakes to the center. They are delicious and much appreciated. At the annual Members’ Party, Sally danced happily. 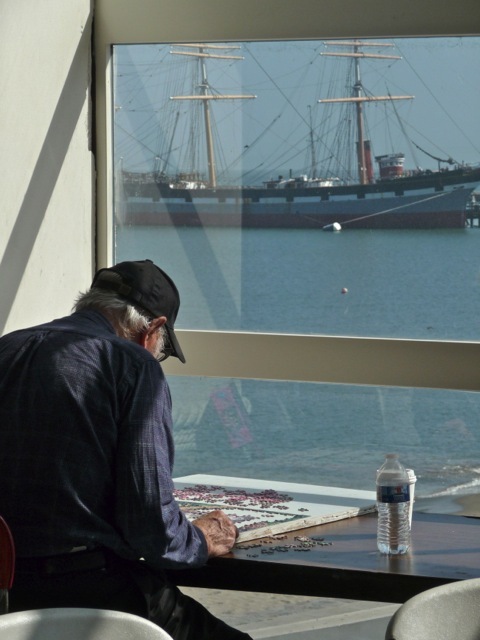 A member enjoys a jigsaw puzzle, oblivious to the tall ship across the water. 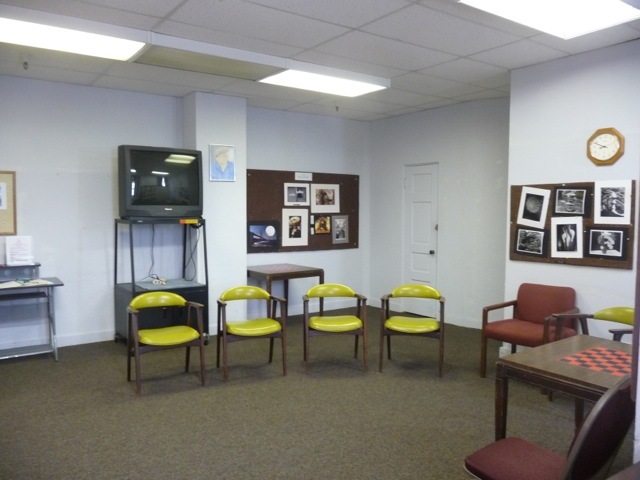 This function room is home to the photography group. It is also used for card, chess and mahjong games as well as small group meetings. This room is full of painters when the painting class is in session. 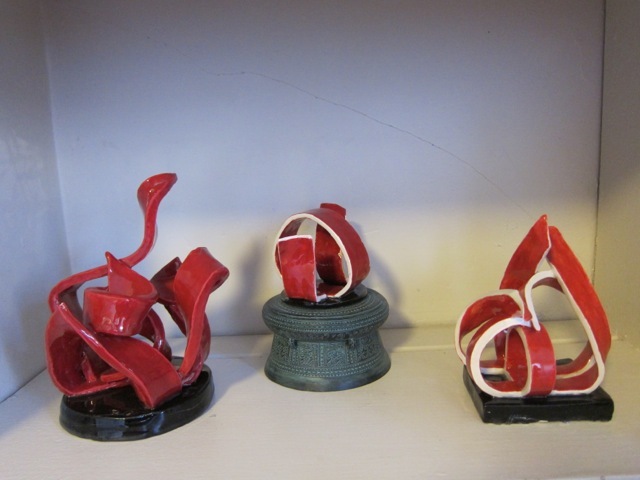 The kiln in the corner of this room fires ceramic creations. We pay $9 a year to have our pieces fired. 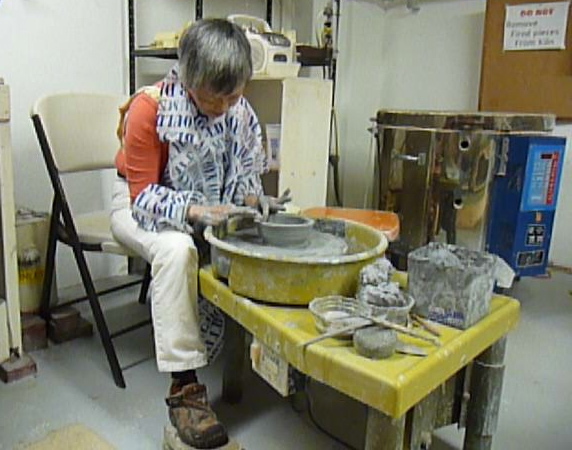 Sally works on the wheel to make bowls. 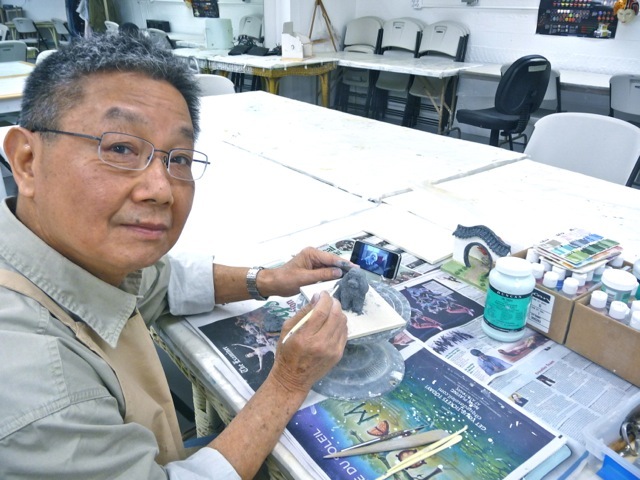 The once-a-week ceramics class is offered for a nominal fee by the City College of San Francisco. 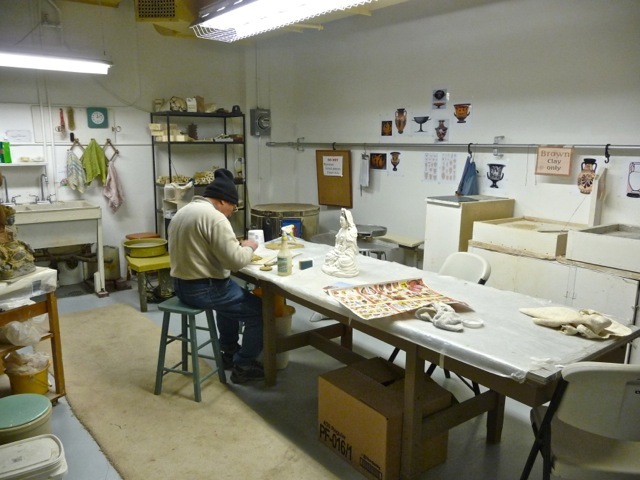 When the class is not in session, we can still use the ceramics studio. Sally and I work at the studio three times a week, making it our second home. 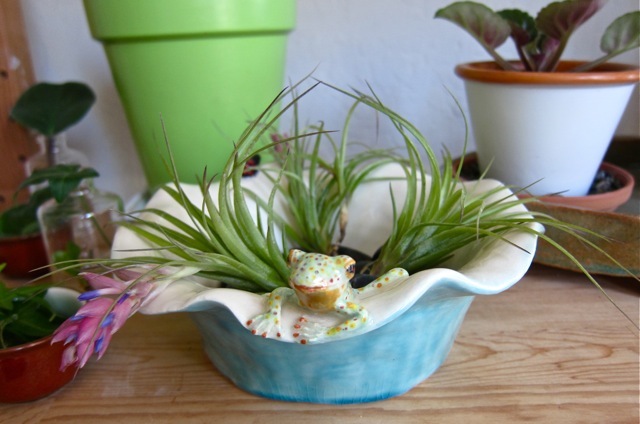 Sally made this bowl with whimsical animals. 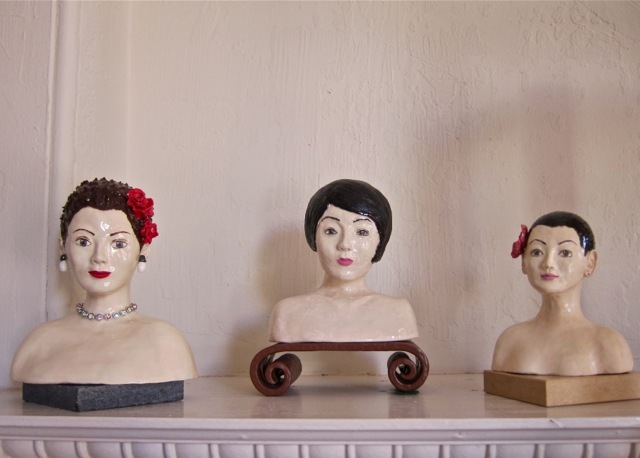 She enjoys making busts of pretty women. At age 69, I am thankful to the non-profit organization for establishing and maintaining this senior center. I an glad we found this great facilities to indulge our favorite hobby in. Here, I was making a figurine of my cousin’s dog Lucky, using its photo for reference. 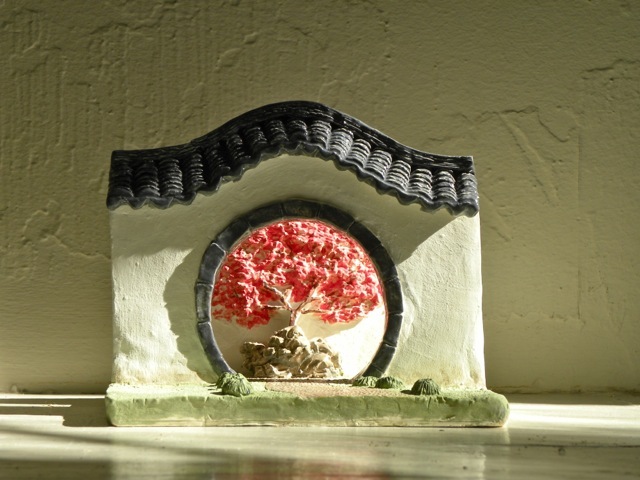 I made this Chinese garden moon gate with a sun-lit maple tree beyond. My favorite creation is this interpretation of Andrew Wyeth’s painting Christina’s World. 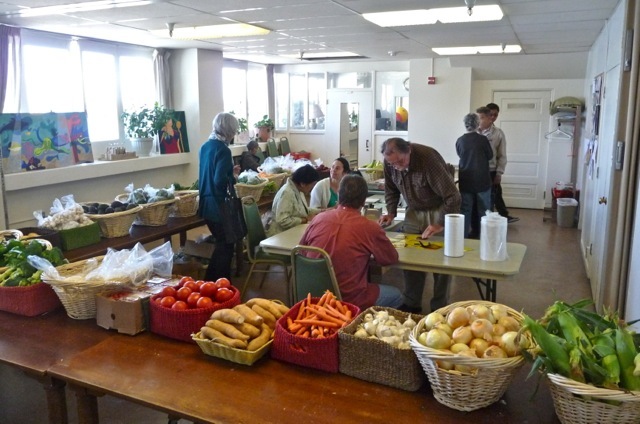 Being a member of this senior center has unexpected benefits. 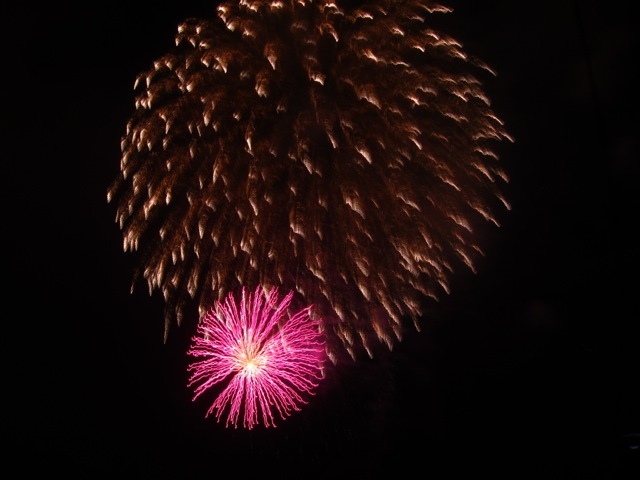 On this year’s Independence Day, there were fireworks at the Aquatic Park. Large crowds sit on the lawn and bleachers next to the Aquatic Center building to watch the fireworks from a distance. 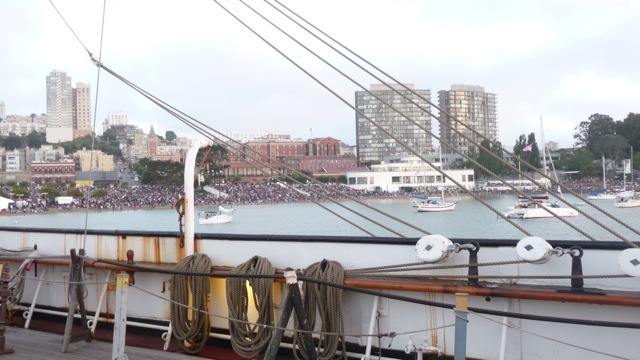 But as senior center members, we got free tickets to board a three-masted sailing ship anchored in the bay to leisurely watch the fireworks. The fireworks were spectacular, especially with colorful explosions almost directly above our heads. Posted by Robert Wu on Monday, July 9, 2012, at 5:40 pm. Filed under Uncategorized. Follow any responses to this post with its comments RSS feed. You can post a comment or trackback from your blog.